Did anyone else hear chants of "Kobe is better" during the 76ers game? Allegedly Philly fans were chanting it. I didn't hear and I really doubt superstar players even pay attention or hear them after a while. Luke the HC after the ASG? Then we'll be into the next coach we want to fire, for rotations. theconqueror, God and Maximus Meridius like this. Does Kidd get any credit for developing Giannis? Here’s to hoping tatum tears his ACL next month. Folks who wish injury on players are the worst type of people. duck dodgers, pums, Delusionallakerfan and 2 others like this. How are his mechanics that bad yet he has changed them so many times. Need to talk to DJ guy, he is making with no problem. Something about one foot further up was the missing link, weird. CP1708, kobeoverbron and Maximus Meridius like this. Like we've mentioned on this thread before, there's really no point kicking Luke out. There's really no better option and all things considered we're still Playoff contention. At Denver. At warriors etc. We have a 4 to 5 game stretch of winnable games. Nah. You keep him cuz that team is .500 with their best player missing 18 games in the west. I don't care what coach you have every team is gonna drop with their best player missing that many games. And again who is the great coach just sitting around that ya'll want? I get it the team is frustrating but there has to be a plan when you fire a coach, you can't keep bouncing from coach to coach just because. bron does that weird step back thing and when he misses he usually has like a very slight hitch. Did yall watch the video? Any news about who’s getting that last roster spot? nah not yet. been looking like it might be morris though which might not be a bad look. 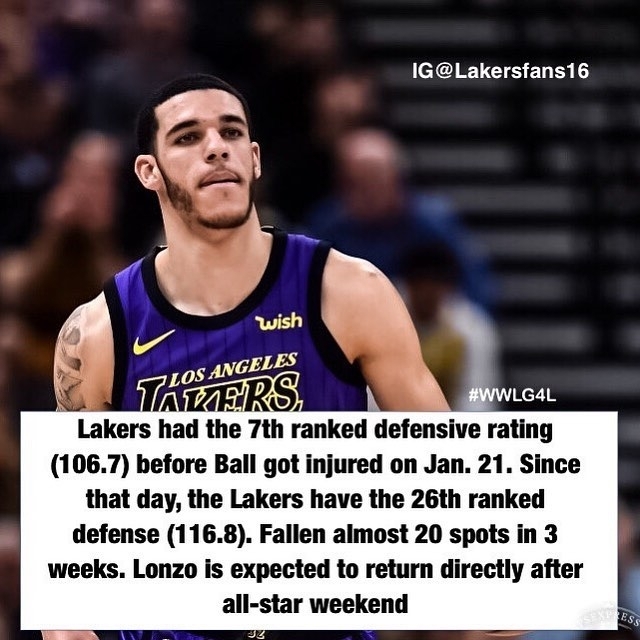 Yeah, he shoulda played Kuz more than 32 minutes. Nobody is saying Luke is perfect but still what coach do ya'll want? What coach is gonna have the worse FT shooting team turn good? Or not having silly turnovers and stop injuries? Some of these things are out of a coaches control. But who knows if Luke is having a teaching moment trying to show Kuz the importance of following his defensive game plan. And maybe those lessons pay off long term.